Arctic Aviation Assets, a subsidiary of Norwegian Air Shuttle ASA ("the Company"), has signed an agreement for sale of two Airbus 320neo aircraft. Norwegian has launched its New Year sale offering traveller’s savvy savings on all long-haul flights from the UK and Ireland, including the UK’s cheapest direct flight to Brazil with fares from just £199.90 one-way. 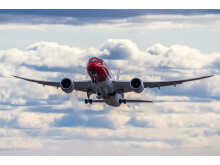 ​Norwegian Air Shuttle ASA (“the Company”) would like to give the financial market a year-end update. To meet the competitive environment in a period with seasonally lower demand in Europe, the Company has made several changes to its route portfolio as well as adjusted its capacity. Combined, these measures should improve the financial performance from the start of 2019. Norwegian is counting down the days to Christmas by offering members of its loyalty programme 24 consecutive days of fantastic savings on flights, special partner offers and chances to win £2000 worth of points that can be used to redeem any Norwegian flight, including taxes. Norwegian has launched its Black Friday weekend sale, offering travellers up to 30% off all short-haul flights and 15% off all long-haul routes in the UK and Ireland. 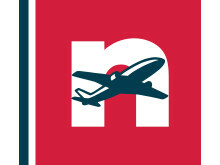 Norwegian today launches a brand-new feature on its website that gives customers easier access to its cheapest Premium fares on long-haul flights. ​Arctic Aviation Assets, a subsidiary of Norwegian Air Shuttle ASA ("the Company"), has signed an agreement for sale of five Airbus 320neo aircraft. Norwegian (NAS) today reported a result (EBT) of 1.6 billion NOK (£149 million) for the third quarter 2018. 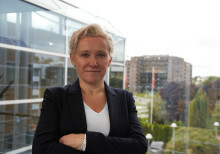 Norwegian Reward, the loyalty programme of Norwegian, is continuing its growth by adding a new car rental partner, Avis Car Rental.